It’s Not Paradise Until It’s Finished! 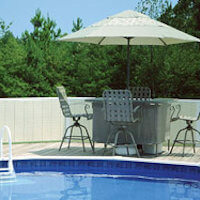 You should expect your backyard to be somewhat messy and “visually unpleasant” during the installation process. Completion times vary based on the type of pool. We’ll disucss the precise terms, time frames and responsibilities of each party. 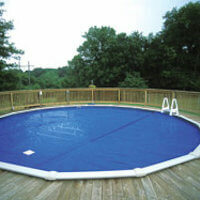 Your pool layout will be marked in your backyard. Heavy equipment may be brought in to level the pool site. 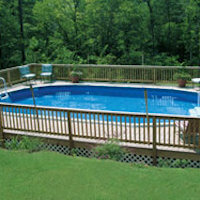 A level site is a must to protect the structural integrity of your pool. 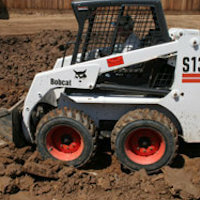 After the soil is leveled, a layer of sand is spread to provide a firm base. Once the site has been prepared, it is time to assemble and secure the walls of the pool. Supports may be added for additional stability. Next, additional framing or decking for the pool or surrounding deck and walkway areas can be completed. Placement of plumbing and electrical systems can be determined; it is important to keep equipment away from the entrance to the pool. The vinyl liner is now ready to be installed and is carefully worked into the proper position. Once this is complete, the pool will be filled with water. It is important that all air pockets and wrinkles are smoothed. Then all remaining work – such as the deck, electrical, water filtration, ladders and walkways can be finished. Now is the perfect time to install the appropriate safety signage. 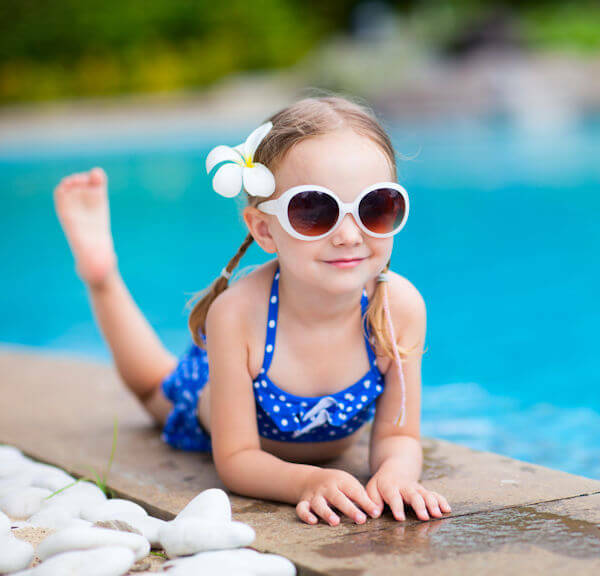 The Association of Pool & Spa Professionals recommends that pool owners use “layers of protection” to ensure that pool time is a safe time. 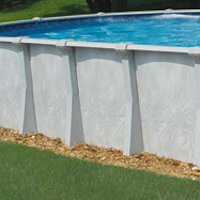 The key element to this layered concept is a minimum four-foot high barrier that completely surrounds the pool. 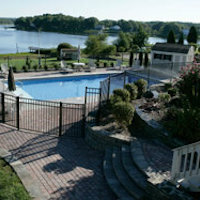 A variety of fencing materials are available – from basic safety fencing to decorative wood, iron, aluminum or vinyl. Accent pieces are now ready for installation. Consider upgrades to your backyard environment such as pool loungers, fire pits, fountains and other water features, lighting effects, backyard grills and outdoor furniture. The final touch…and voila! The paradise of your dreams is a backyard reality – step right in!